Virginia L. Denny, age 83. Sunrise October 8, 1931 in North Wilksboro, NC and Sunset January 10, 2015 in Columbus, OH. Virginia was a retired Corrections Officer with the State of Ohio, a Foster Parent and a member of The Eastern Star. She was preceded in death by her parents Obie and Gladys Horton, sister Gwendolyn Hunt, sons Eddie Leslie Robinson, and Willie L. “Boogaloo” Robinson, and grandsons Michael Taiwan Denny and Javon Truly. 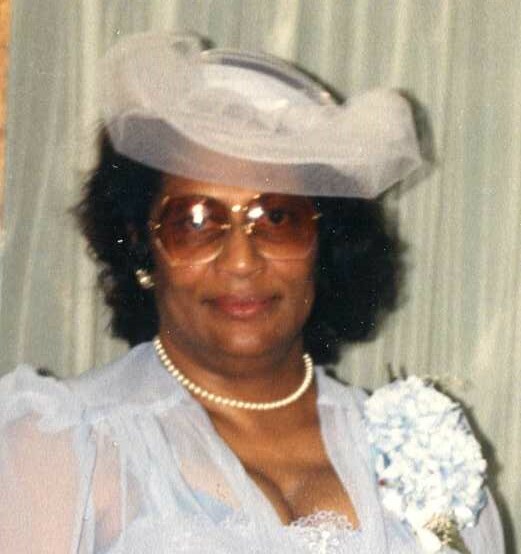 Left to cherish her memory, daughters Rozalind (Robert) Broomfield, Teri Watson, Sherri Bush and Tanya (Douglas) Rivers-Mullins, son Robert Gwyn Denny, III, 24 grandchildren, 37 great grandchildren, 1 great-great grandchild and a host of other relatives and friends. Visitation 12:00 noon and Funeral 1:00pm Monday January 19, 2015 at Triedstone Baptist Church 858 E. 3rd Ave. Entombment to follow at Forest Lawn Memorial Gardens. Ministry of Comfort entrusted to MARLAN J. GARY FUNERAL HOME, THE CHAPEL OF PEACE 2500 Cleveland Ave. Please accept my heartfelt condolences on the passing of your mother. I will keep you and your family in my prayers in these coming days.